We are engaged in manufacturing a qualitative range of Steel Wire Scrubbers. 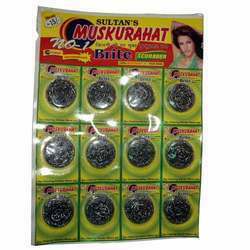 These are made using steel, iron as well as nylon wires and are used for cleaning of kitchen utensils as well as for cleaning of window panes. Our range of steel wire scrubbers is interwoven in such a pattern that they do not open up even after excessive use. 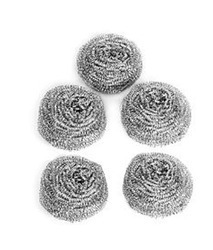 We take pleasure in introducing ourselves as leading firm by offering Steel Wool Scrubber.